New years resolutions sound easy with weigh loss being #1, quitting smoking, these are the most popular ones and ironically the hardest to keep. I know people who have made awesome changes in their lives. The rest of us keep making the same ones. Year after year then promptly fall off the wagon. Not all of us, who loose our way do so because we’re weak , lacking in will power, or just do not care. I am a great example. All my regular readers know I had a stroke, burst anursym 4 years ago this April 22nd. I was truly blessed to not only survive , but only have minimum damage as a result. I still face challenges that keep me from a regular job, but I have my whits about me as they say. A special thank you to family and friends who have journeyed with us. It has been a long, winding road. 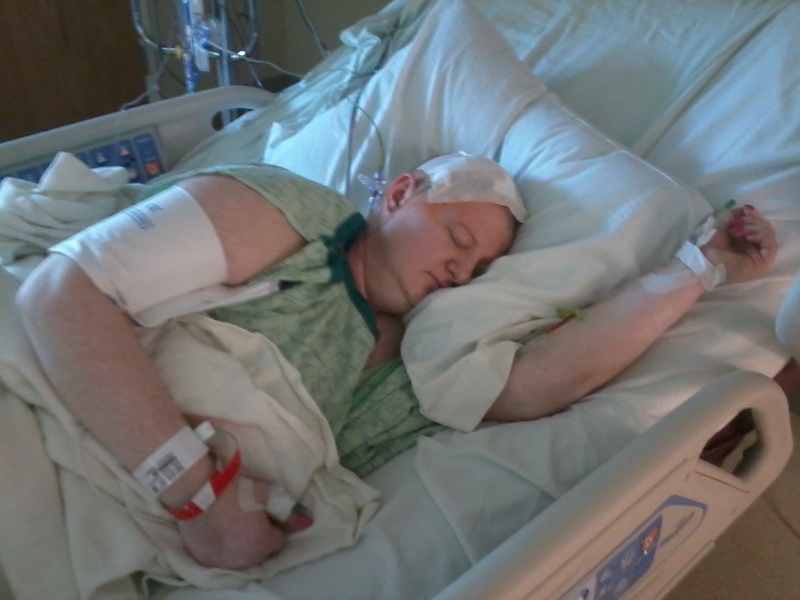 After the initial injury I’ve had followup brain surgery, to remove a shunt and tube that were making me so sick. Then after learning to walk again my physicality started to decline, with no answers I ended up back in hospital. According to the experts a spinal cyst is quite common. With no other options available through traditional health care I was forced to wait for Medicare. Government healthcare does not check for these common effects, they did not MRI my spine till our insistence in the emergency room. One MRI and 9 hours of spinal cord surgery by my wonderful neurosurgeon, I emerged into pain and the ability to wiggle my toes again. Why am I telling all this? I want people to know that even with healthcare if you can find it… Patients need an advocate! My new years resolution for the past several years has been too regain my mobility. Bless my hubby who helps me with all this stuff and is there every step of the way, including when my sunshine dims. I started outpatient physical therapy and was making good progress. Now I’m waiting to go back. It’s like starting over from scratch every time this happens. I’m fighting to get equipment in my home, but until such time I am trying to loose extra weight and move as much as possible to keep loosing. The co-founded care comes from the red tape between Dr. Rx and pre-approval from government run care, then back to my Dr. Then finally Therapy can be scheduled. This wonderful policy cannot be done ahead of time and the average wait I’m getting is 4-6weeks. Are you still on track to eat right, drink more water, exercise more, and loose some weight. My “nutritional” advisor wants me to add 400 calories a day and eat every three hours. Does this work for anyone? I was keeping my diet under 1500-1800 with no snacks. I just cannot believe adding 400 more calories will help if I cannot stand to do exesice. I’m willing to give any non – extreme tips. If anyone has an idea I’d love to hear it. Do you have a diet that you have used? I would like to both, pass on knowledge from this experience so women in particular know both the odds and warning signs. The medical text says 1 in 4 women will suffer a brain aneurysm. In nursing school 9 years ago it was 1 in 10. Did you know that a common symptom of high blood pressure, pulse you can hear in your ear, is a big fat warning of aneurysm? I had scans for migraine headaches, and in all my regular doctors visits I was never warned. I even had an aunt die, and nothing was ever said. I truly hope this will reach women in particular, so they know some of the dangers that silently stalk women. I only learned after how lucky I was despite lots of tries to have children. Something else we’re not told, if it happens in labor the agonizing choice between mother or child has to be made. Overweight, and smoking, are also earmarked for having a stroke. Ladies I encourage you to ask, both OBGyn, and regular MD about this. Find out you risk. I truly hope my struggles raise awareness for women, and your families. 1 of 20 is the survival rate, most unable to function above severely brain damaged or vegetable. The only requirement that divides is to be a woman, or man. As I read over this post it sounds to me like, I’m whining. If so why does this have to be so hard? That is what I want answered on Presidents Day. I hope one day soon I’ll get an answer. Stay safe, be informed, and hopefully we will getbetter run healthcare system. I got better care with none! Was one of the afore mentioned your resolution? Are you stocking with it? I hope women will add the risk of aneurysm, to the list? I would also say don’t wait, ask your doctor now. How do you keep yourself on track? My best is done with a calendar and a good playlist.